Lucy has never attracted much attention from boys, but she can’t seem to ignore her blue-eyed co-worker, Casey Parker. A true cowboy, Lucy becomes enthralled by his gentle way with the horses at the Red Rock Ranch. However, she is very aware that Taylor Johnson, rodeo queen extraordinaire, already has her spurs in him. 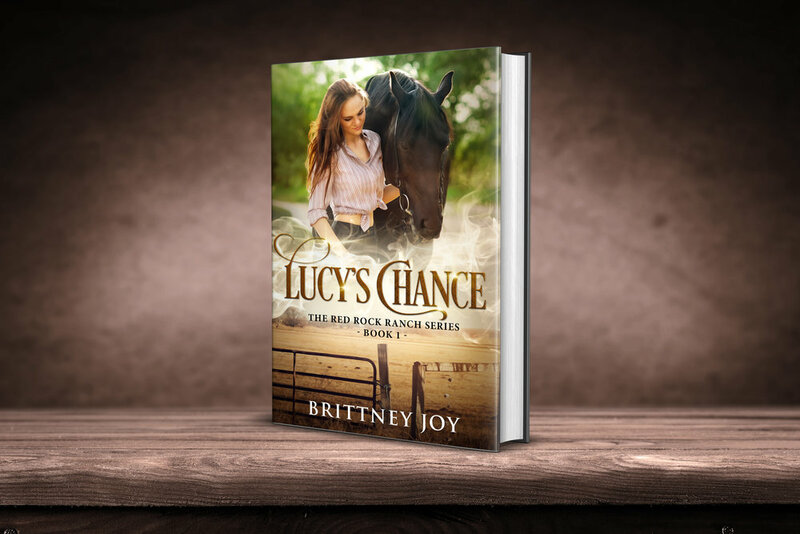 And, there’s no crossing Taylor.
. . . Not until a mysterious horse appears on the ranch and pushes Lucy and Casey together. The two are willing to do anything to save the black gelding that doesn’t want a thing to do with them - or the human race. But, every step forward with the broken animal makes Lucy fall harder – for him and for Casey. Taylor and Lucy mesh together like a tight cinch and a broncy horse – an explosion waiting to happen. Blonde and sassy, Taylor Johnson is used to guys falling at her feet. Blue ribbons always come easy. And, dropping a grand on new cowboy boots and a pair of chaps is the norm. So why does the new stablehand keep getting under Taylor’s skin? A newbie to Red Rock Ranch, Lucy Rose is comfortable in a ponytail and jeans. Her makeup routine consists of a dirt smudge and chapstick. And, if she had her choice, she’d spend every minute with her beloved horse Chance . . . and far away from Taylor, the rodeo princess in need of an attitude adjustment. But, in a twist neither saw coming, Taylor and Lucy are forced to work together. Will they play nice? Or will their summer at Red Rock Ranch go out in a bang?